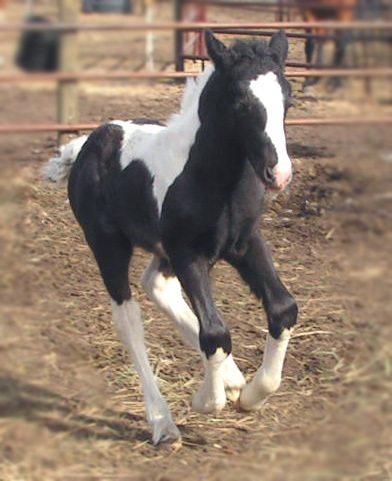 Congratulations to the Tuckers in KY! 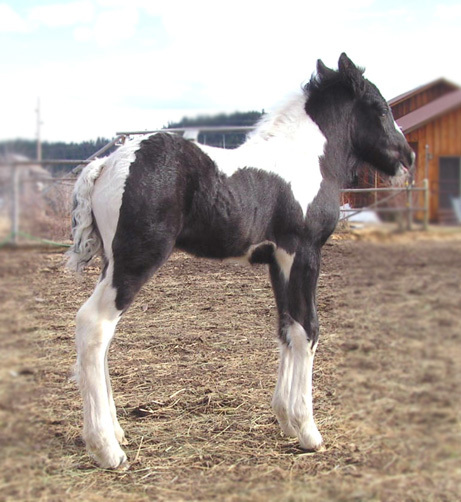 Introducing BSG Torin, our handsome Gypsy Vanner colt sired by Taliesin and out of our heavy traditional mare Peggy. 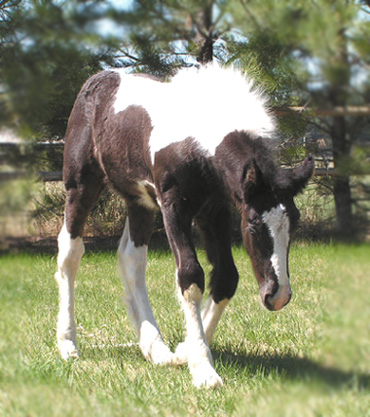 He was born March 27, 2006. 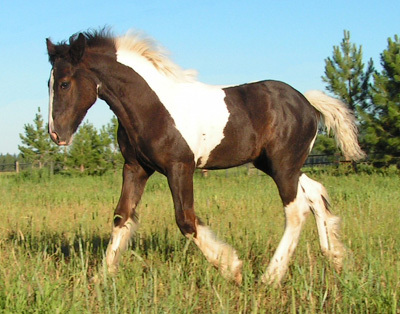 Torin has a super disposition - he whinnies to greet you whenever you go out in the pasture and he is the first to come up for attention. 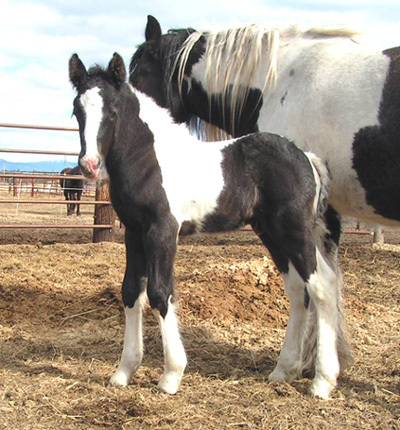 To date he is one of only three "Tali" sons born this season. 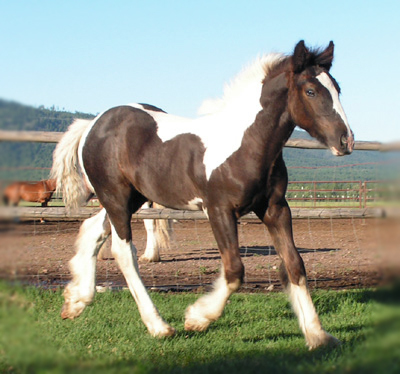 If you are looking for a stallion prospect that will stand out in the crowd Torin is your colt! 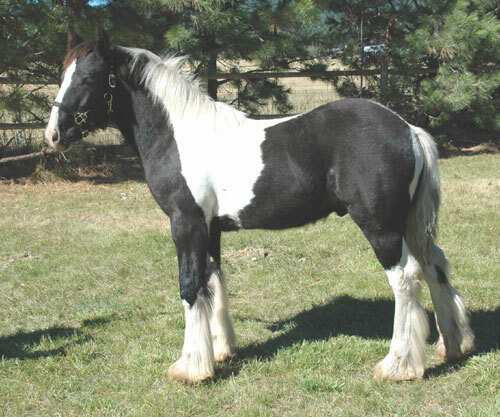 Torin is going to be a force to be reckoned with. 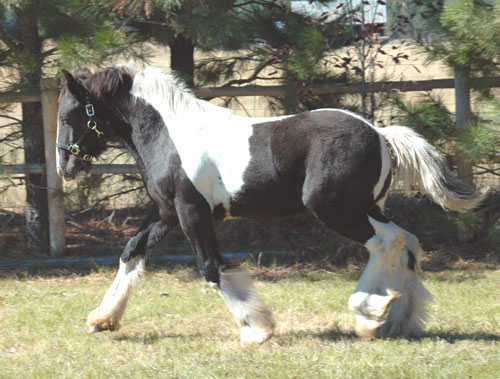 He is an up-headed, powerful colt that just oozes quality. 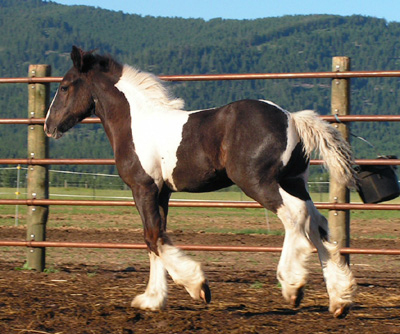 He has a gorgeous head, a wonderful neck which ties into a well sloped shoulder, a super short back and dynamic gaits. 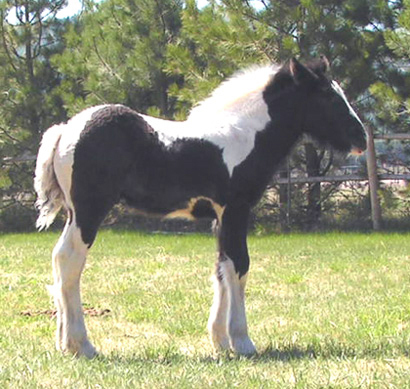 His feather is coming in thick and long and looks to be the silky type. 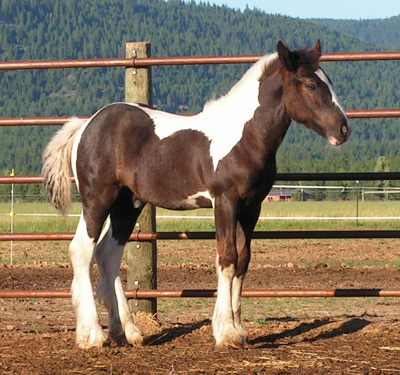 Torin is a confident, friendly colt that enjoys people. 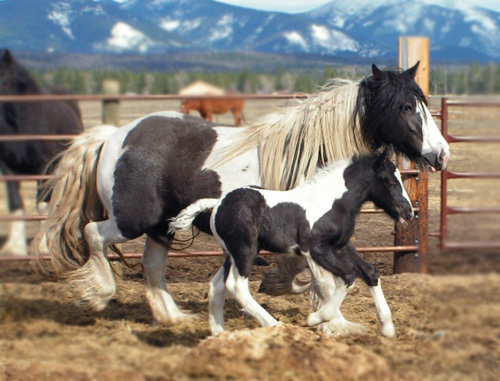 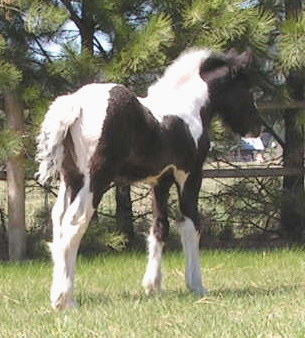 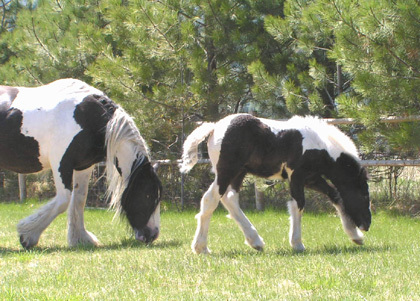 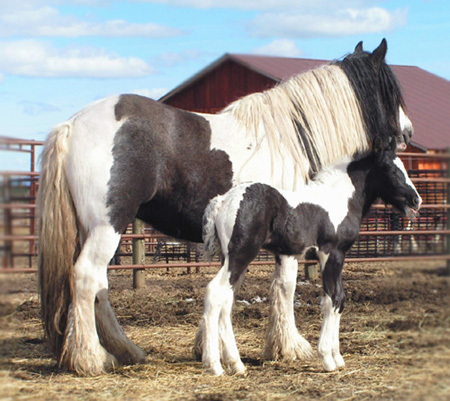 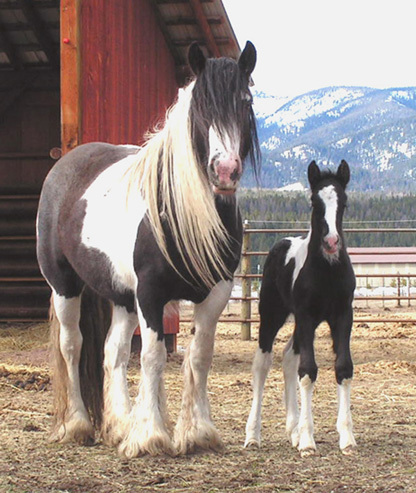 As a bonus Torin may well be homozygous for Tobiano.